Home Made Rice Pudding completely delivers in the dessert department! This version uses coconut cream for a rich texture and amazing taste! I never thought I would like it until I tried this easy rice pudding recipe! As our family has grown, so has our desire to eat healthy. Most days we do pretty well at it. But there are days we all just want dessert. While there are days we give up the good fight and go out for ice cream, most days. We settle for something sweet with far fewer chemicals and refined ingredients. But the lack of regular ice cream infusions has lead to us being more adventurous in our search for dessert. If you had asked me in my 20s (or my 30s!) I would have said – absolutely not! But the further along I get in my whole food journey, the more my tasebuds expand and the more I am willing to try. Easy, creamy rice pudding elevates really simple ingredients to something very special. 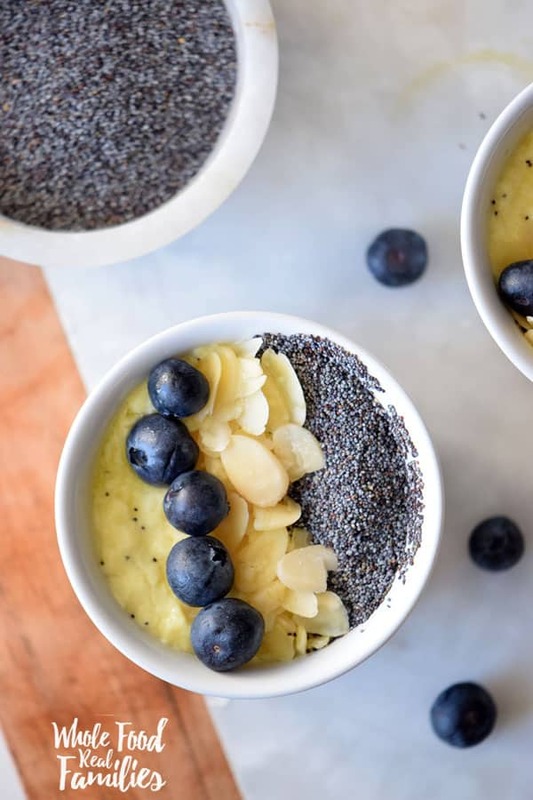 Creamy Rice Pudding for the WIN! But once we got past the objection of rice pudding as an entire concept, my kids LOVED this. This Home Made Rice Pudding is creamy and delicious. And the coconut cream gives it the best taste! 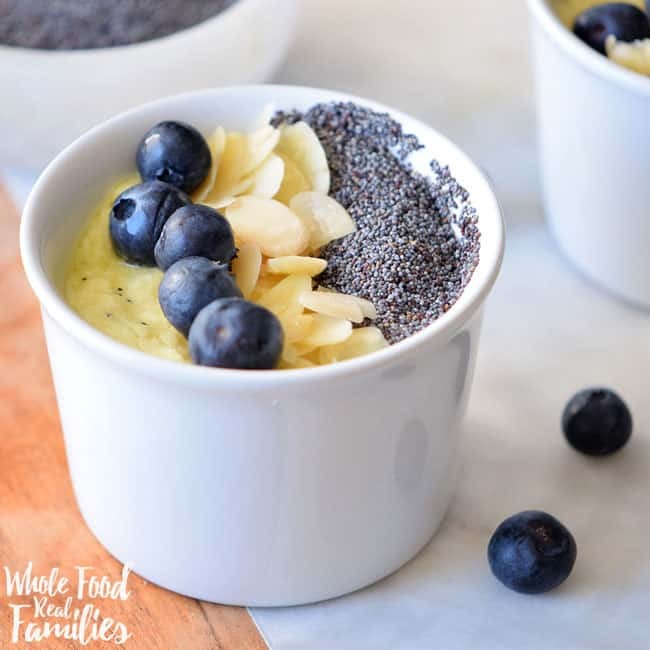 We love this with blueberries but raspberries or blackberries would be really awesome! It also had a nice dose of chia, which is so good for you!! If you are not familiar with my love affair with chia, check out these Cinnamon Chocolate Overnight Oats with Chia. 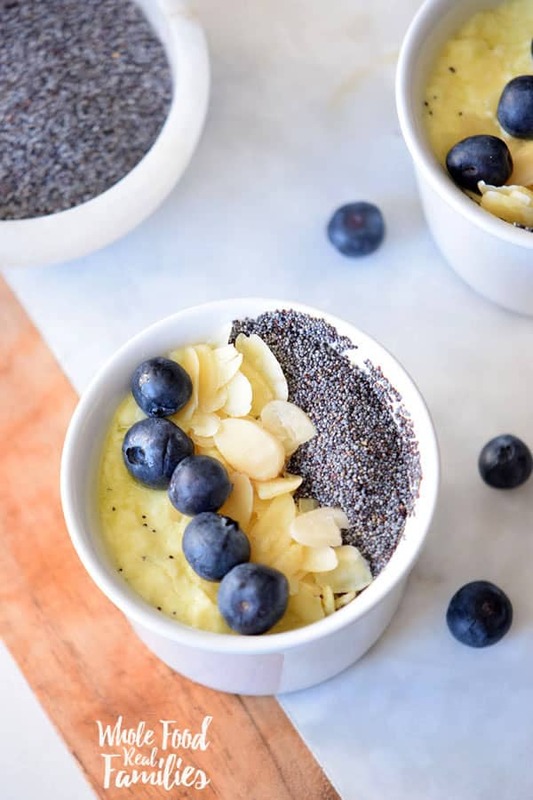 Or this healthy Chia Berry Oatmeal. This is the one. It is so easy to pull together. And everyone in my house loves it! Sweetened with honey or agave, based on your preference, it is far less processed that some of its counterparts. Hmmmm… I wonder what it would taste like sweetened with maple? We keep cans of full fat coconut milk around just for such dessert emergencies. Flip the cans upside down and store them in the door of your fridge. When you are ready to use the coconut cream, flip the can right side up to open it. The coconut cream will be solidified at the top. Scoop it out and save the coconut water at the bottom for your next smoothie! If you want more detailed instructions, check out The Pioneer Woman’s tutorial here. 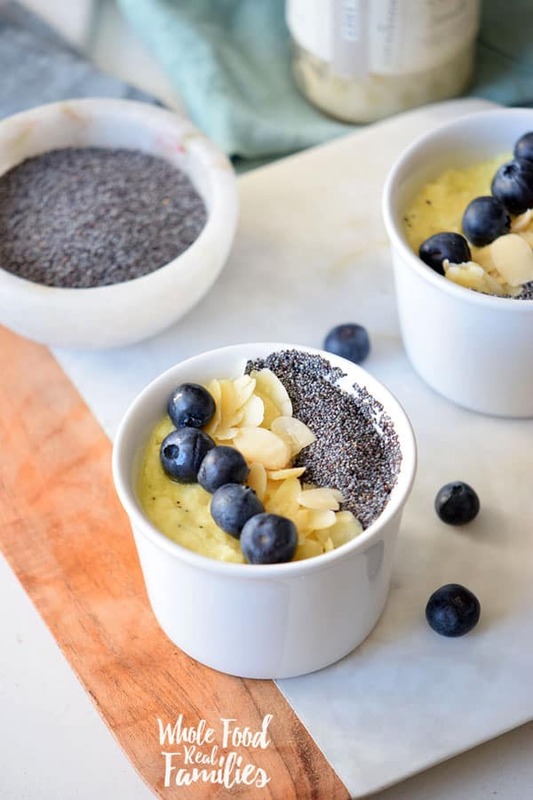 What are your favorite healthy desserts? What is your go-to when you just want something sweet?! Leave your answer in the comments! In a large saucepan over medium heat, mix the rice, honey, cinnamon, half the milk and coconut cream. Cook until thick, around 15-20 minutes. Reduce to low heat, add the remaining milk and half the chia seeds. Mix for 1 minute. Pour the pudding into the glasses and refrigerate for 2-3 hours. 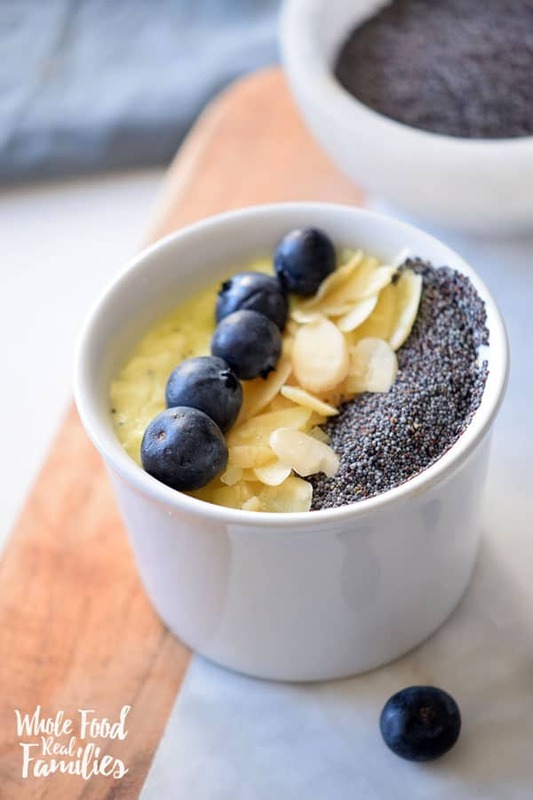 Garnish with the blueberries, sliced almonds, and chia seeds. Use almond milk to make it dairy free.